Ships today if you order in the next 15 hours 23 minutes. 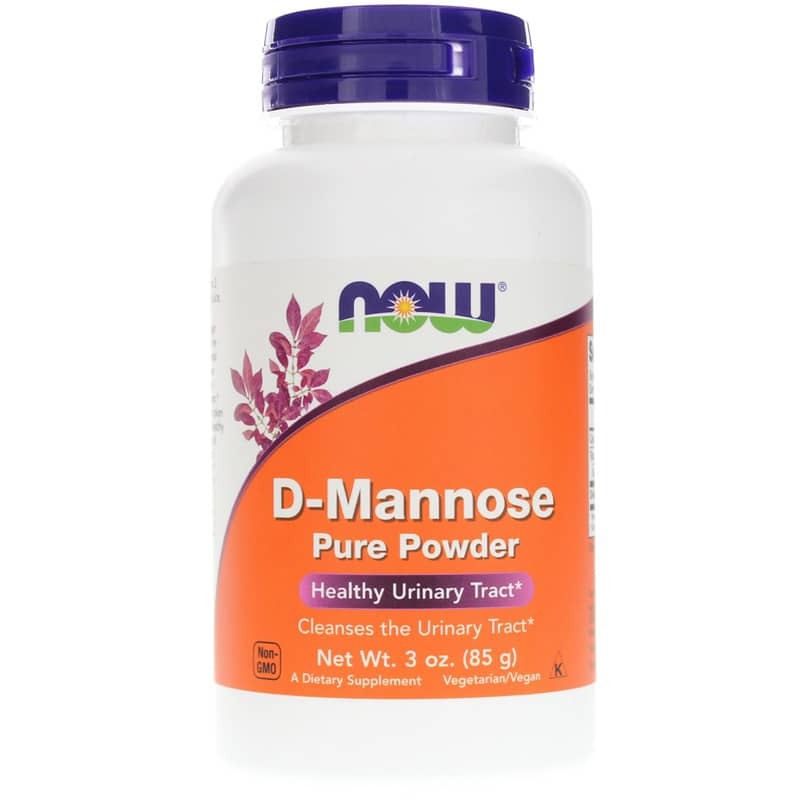 D-Mannose Powder from NOW is a natural urinary tract support supplement designed to support a healthy urinary tract. * D-Mannose is a simple sugar that occurs naturally in some plants, including cranberries. Although small amounts of D-Mannose are metabolized by the human body, much of it is rapidly excreted in the urine. In the bladder, D-Mannose can adhere to undesirable foreign substances, preventing them from sticking to the lining of the bladder. Not manufactured with: Yeast, wheat, gluten, soy, milk, egg, fish, shellfish or tree nut ingredients. Produced in a GMP facility that processes other ingredients containing these allergens. Vegetarian/Vegan. Kosher. Non-GMO. Adults: Take 1 level teaspoon 1 to 2 times daily. Take with water or unsweetened juice, such as unsweetened cranberry juice. I keep this product, never run out of it. I have even used it with my female pets. No irritation since using D-Mannose and probiotics. What a relief that is. I think this is best place to buy too - I've bought elsewhere and saved a buck or two but with the free shipping here, it's a no brainer! 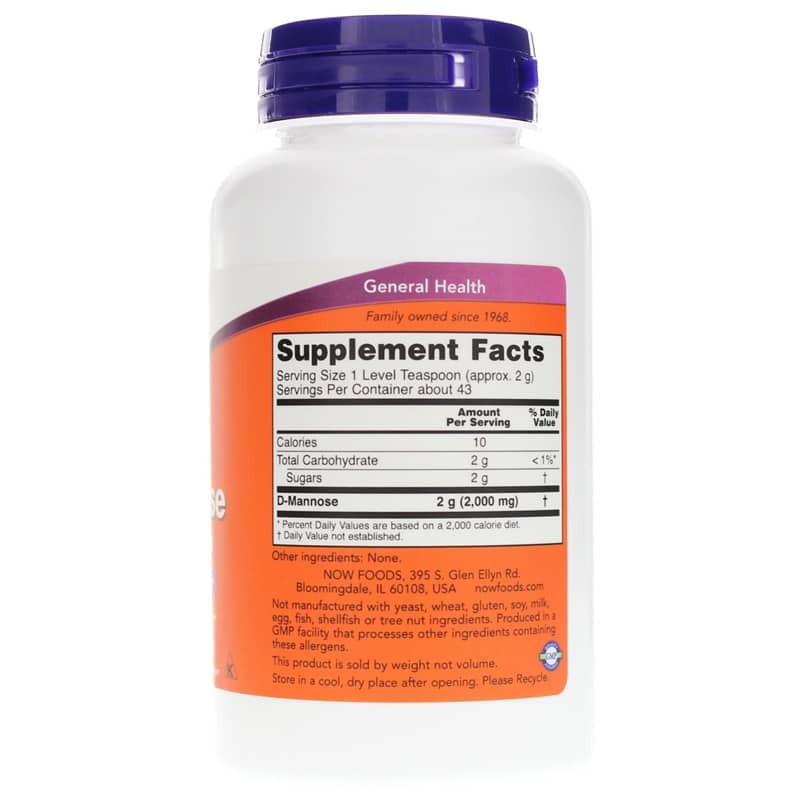 This product, taken daily, is very helpful - I recommend it very highly. I used to panic! Always seemed to be a Friday and getting to the Doctor and getting antibiotics couldn't happen - a weekend without relief was a nightmare! But once I discovered D-Mannose my fears were ended! Also, my need for antibiotics on that issue were ended. 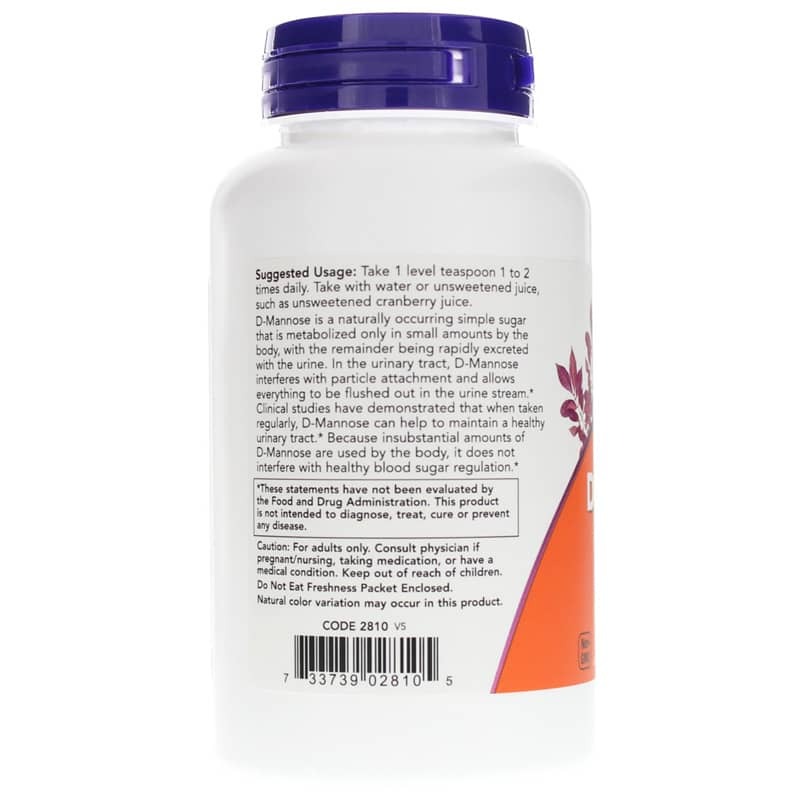 I've since not had UTI issues as regularly, but when/if I do, this product is there for me. A few days using it and the symptoms are usually gone! Keep this product on the shelf!